It's now been more than two years since I've bought any clothes* and the longer it goes on, the more I'm drawn to working exclusively with upcycled textiles. I've recently spent time researching options for getting hold of pre-consumer (ie cutting waste from clothing manufacturing) or post-consumer textile waste, but, as is usual, the options in Australia are fairly limited. I look at other countries that have innovative textile recycling programs (or even old-school ones) that give artists and makers access to the waste stream, but in Australia waste is big business and it's incredibly difficult to insert yourself into the cycle. The few places I can find that allow for community access, only deal with building and construction materials. In terms of post-consumer waste, I'd really prefer to focus on textiles that aren't deemed fit for secondhand store resale. 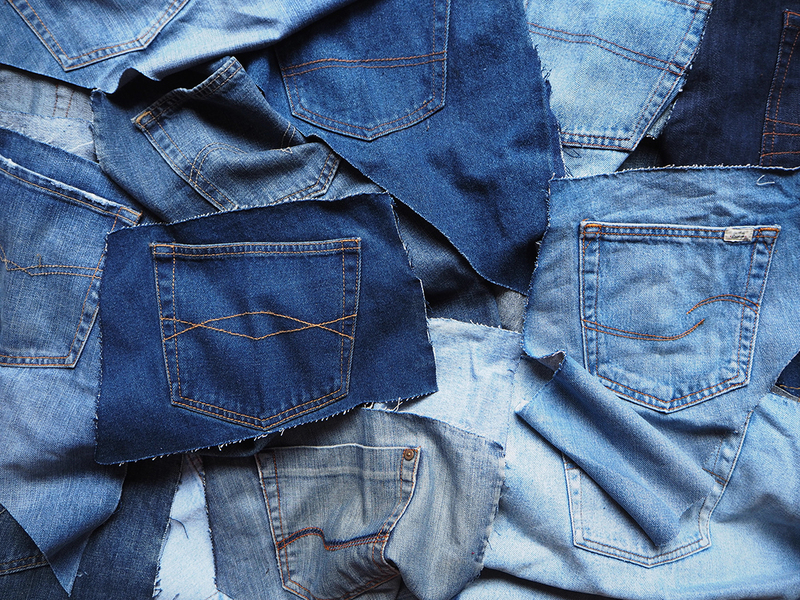 I'm looking for jeans that don't contain elastane, cotton shirts, cotton t-shirts (without writing or slogans) and 100% wool items. When I talk to secondhand stores, they say that once they've sorted what they don't need, the rest gets bundled and sold to brokers who use a very small percentage for turning into other products, but send the bulk of it to third world countries for resale (which has its own issues). I've also talked directly to waste management organisations. Over recent times, especially in large Australian cities, local tips, and their accompanying tip shops, have become a thing of the past. Large multi-nationals such as Suez now run the show, and while recycling is definitely one of their services – according to someone I spoke to there this week, textiles go straight to landfill with no options for someone like me to get access before this happens. In a country that bins the second largest amount of textile waste per capita – this isn't ideal. Anyway, while I continue my search, it has got me thinking about how fast fashion is contributing to the destruction of local textile industries, skills and techniques and how clothes that were once created for a lifetime of service, such as jeans, are now a staple of fast fashion – an item created for its sturdiness and durability now churned out in the millions by, often times, child workers in Asia. The result of all this thinking, emailing and phoning around is a personal art project I'm going to undertake for the year. 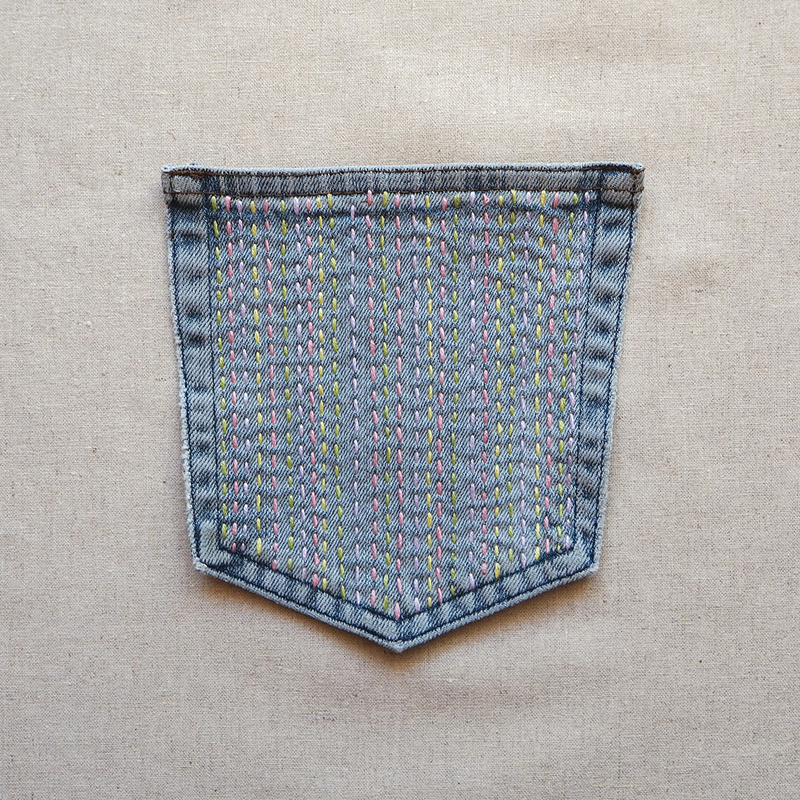 One jean pocket per week decorated using a traditional textile technique. Each week I'll be posting the result over on my Instagram account. I'm starting out fairly simple with kantha, or running stitch. 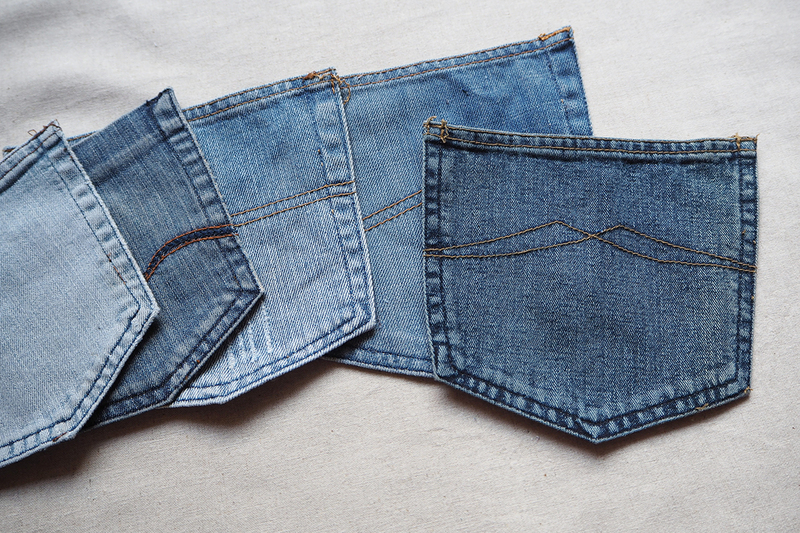 I have a heap of ideas for decorating the pockets, but probably not a whole year's worth, so if you have any ideas you'd like to share, please do. I'm also open to ideas on getting hold of textile waste. I have had some luck with the pre-consumer waste, so I'll share that with you in the coming weeks, but if you've got ideas for post-consumer waste, beyond shopping at charity stores, I'm all ears. *except for the forgotten gym clothing episode.